It's A Dan's World: DC 52 WALL STREET: Afraid Of The Dark? DC 52 WALL STREET: Afraid Of The Dark? Here's the latest batch of darkened #1's, and how they effect this little virtual stock market; DC 52 Wall Street (What, no Arkham Asylum?). 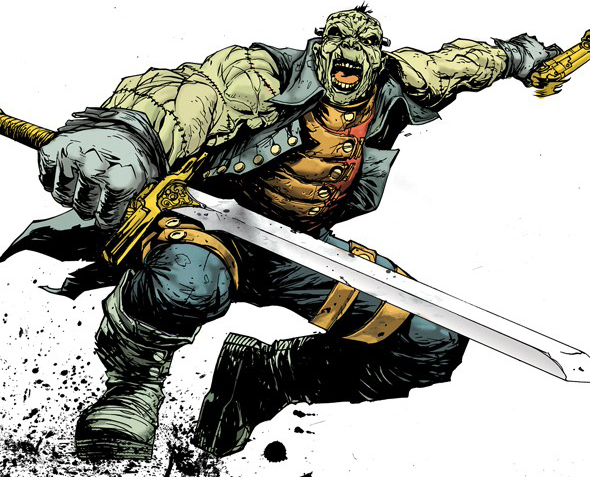 FRANKENSTEIN, AGENT OF SHADE #1 Frankenstein and a mutha of a sword swing against the dark for government folk at: The Super Human Advanced Defense Executive. Hey, that's your taxes at work. (Writer Jeff Lemire, Artist: Alberto Ponticelli). RESURRECTION MAN #1 Don't out this time! Each death a new power - each life a new chaos. (Writers: Dan Abnett and Andy Lanning. Artists: Fernando Dagnino). 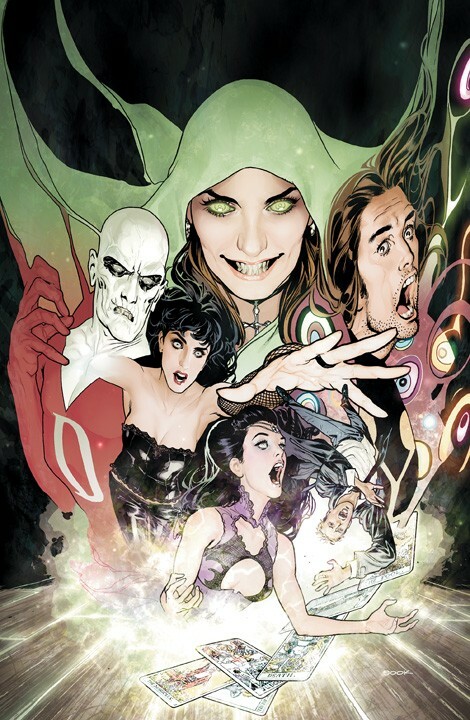 JUSTICE LEAGUE DARK #1 The League is the brightest and the best? Well here are the darkest! John Constantine, Deadman, Shade the Changing Man and Madame Xanadu unite! (Writer Peter Milligan. 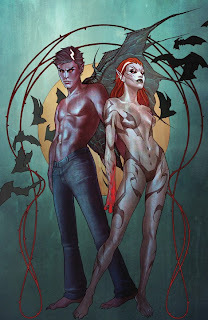 Artist Mikel Janin). 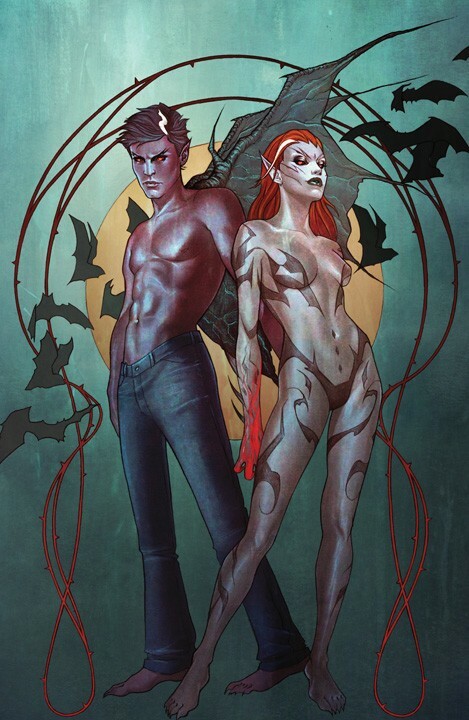 I... VAMPIRE #1 Andrew Bennett is a vampire fighting vampire in love with the Queen of the damned. Like we all haven't been there. (Writer: Josh Fialkov Artist: Andrea Sorrentino). What do you think? For more details on September's 52 #1's click here. I'm not sure about them sticking John Constantine in with a group. He's always been better on his own or in a guest appearance with another character. It just doesn't fit. Feels a bit wonky. I'm with you Random! Glad though that Etrigan has his own book. 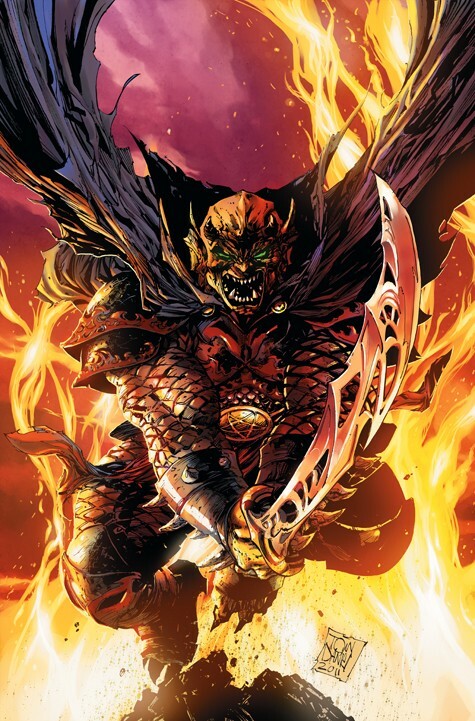 I always thought the tormented Jason Blood was the better half of that equation, but Etrigan is a better visual I guess! And he speaks in rhyme! How can that not be fun? True, and definitely gives the writers a workout. Might be interesting to read that one off the shelf at least once, just to see if they rhyme more than try and die. Yoiu know, ressurection man's premise doesn't appeal to me. He gets a new power each time he dies and is ressurected? It seams those powers aren't good enough, if he can't avoid getting killed. Honestly Aliera I get what you mean bu the last series was soo brilliant I'm kicking myself I can't fit this one in. If you can pick up just one issue I think you'd be surprised how it spins out.